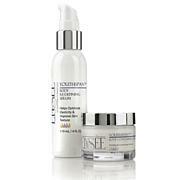 Firmance Pycnogenol Firming Serum: Apply daily to face and/or neck following other serums and prior to moisturizer. This product can be used alone. 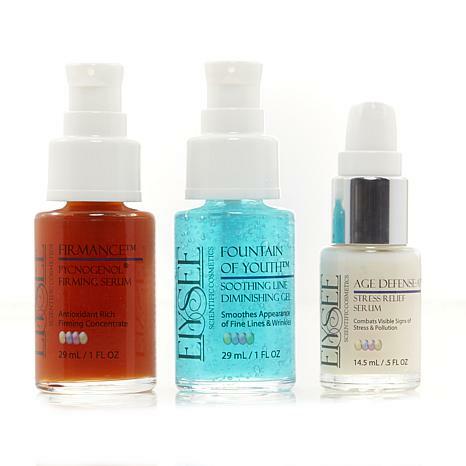 Fountain of Youth Soothing Line Diminishing Gel: Apply a light layer to clean face and neck as the first product after cleansing and prior to other serums and moisturizers. May be used morning and evening. 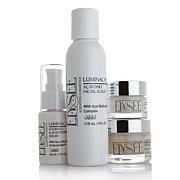 Age Defense-AP Serum: Apply a light layer to face and neck following other serums. Follow with moisturizer of your choice for best results. The color of Firmance Pycnogenol Firming Serum may vary slightly due to color variations of the natural ingredients. Wonderful kit of these 3 products. 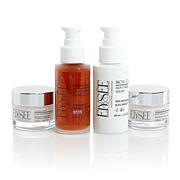 Elysee products surpass other products by far. 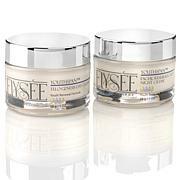 At 60+ years, always looking for products that help with firming and wrinkles. Thanks Linda for products that perform as they should. Also highly recommend Time Avenger mask! These are my favorite serums & I've tried most of the brands on HSN. Linda Marshall's products really work & the company is full of integrety to make a difference & help us out with our skin needs. Keep them coming! & thank you HSN for the great values. I've been using this system for a little over a week and am amazed at the difference in the lines on my face. The Matrixel formula really works. I use retin-a for acne and have used skin care in conjunction with this. This is the first skincare line where I am actually seeing a big difference. Highly recommend.